How can I select or change my time zone? Select 'Company' from the left navigation bar. 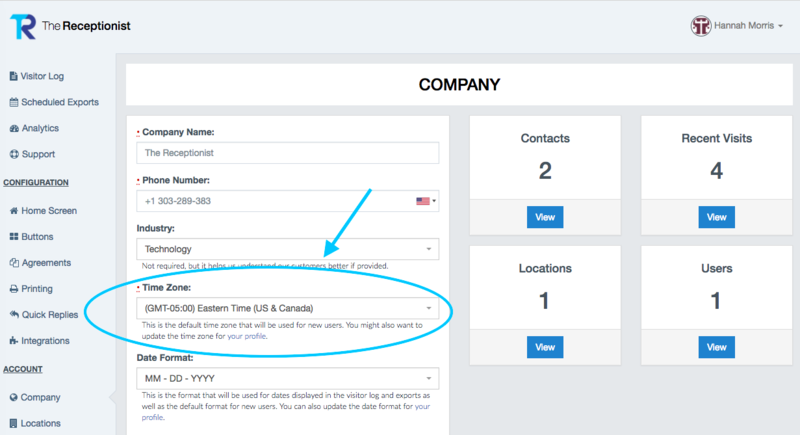 To the left under Company Name and Phone Number, you can update your Time Zone.